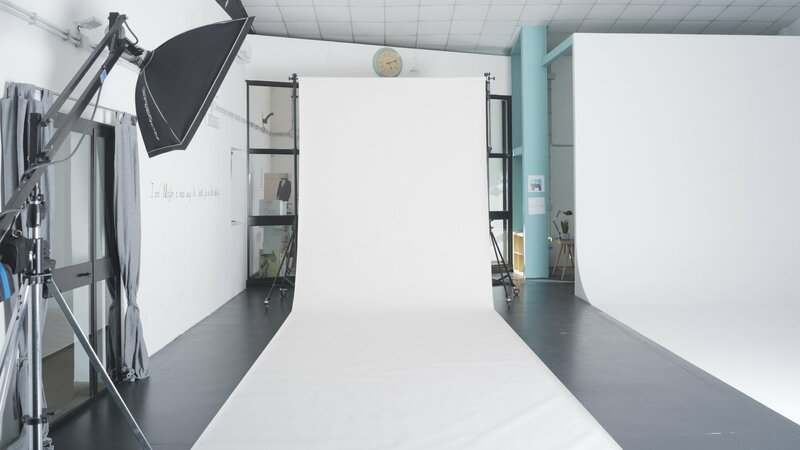 The photographic studio is optimized for your shooting sessions, whether they are fashion, advertising or still life, and can also be rented on request for workshops, exhibitions and cultural events. 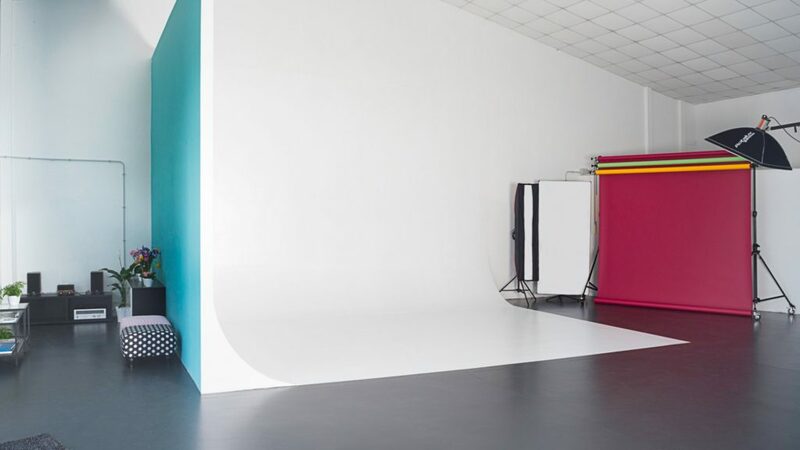 The photography studio develops on a 250 sqm space. In addition t there is a meeting room and a post-production workshop. The two entrances and the large parking space allow to accommodate even large productions. All rooms are air-conditioned and optical fiber Internet provided. Contacting us by email: [email protected] After the payment of a 30% deposit the reservation will be confirmed. 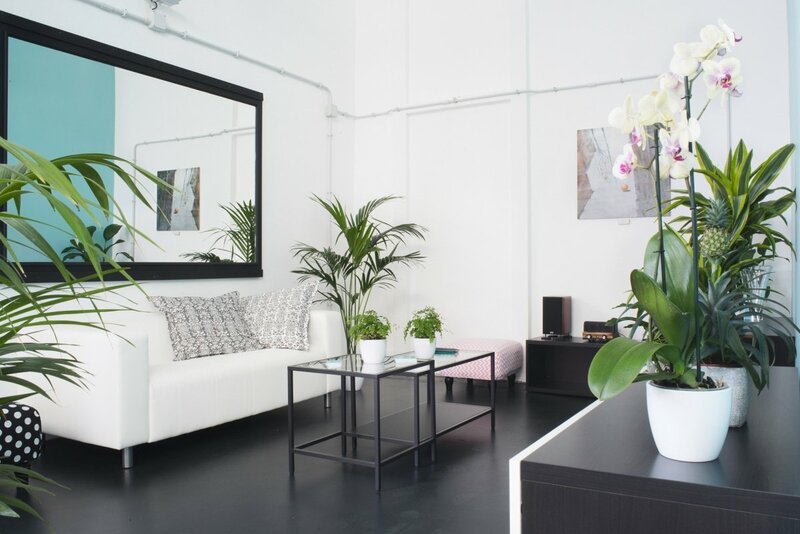 Studio Rental is possible from 9:00 to 19:00, different times must be agreed by mail and confirmed. 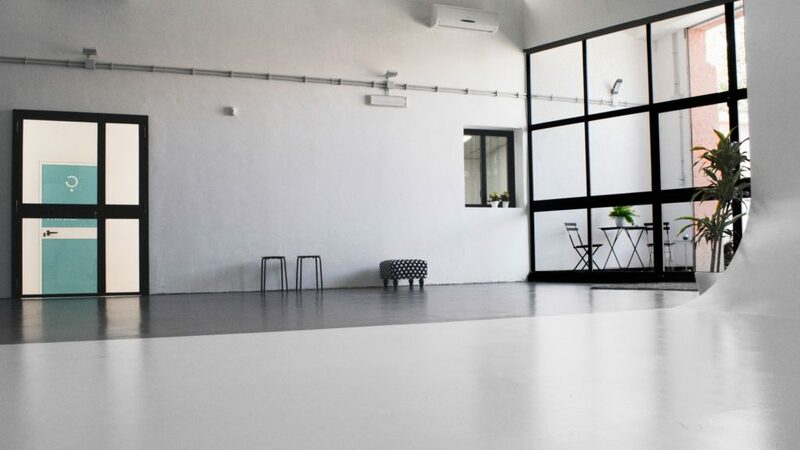 per hour (minimum 2h bookable) between 9:00 and 13:00 or between 14:00 and 18:00, halftime (4h) between 9:00 and 13:00 or between 2.00 pm and 6.00 pm whole day (10 am) between 9.00 am and 7.00 pm, just in case that the shooting extends beyond the agreed time, the additional hours will be charged according to list price . The use of the hall outside working hours, Saturdays, Sundays and holidays will be subject to a charge of +25%. In the studio there is an absolute ban on smoking. The costs of cleaning the room amount to € 50 + VAT. The reservation can be made, subject to availability: by mail or by booking online. Booking is considered effective upon receipt the deposit must be paid within and no later than 48 hours from the option of the chosen dates, after 48 hours the dates will be reported again as free. Using cyclorama is mandatory is the cleaning of shoes before use. Backdrops must be left in the state in which they were delivered, for damages and lacerations will be charged € 20.00 for backdrop.